From ancient heroes like Odysseus and Alexander the Great to modern heroes like Nelson Mandela and Bill Gates, the people who stand out for their accomplishments have many talents and qualities in common. For example, Odysseus was known for his cleverness. His idea to hide some Greek soldiers inside a wooden horse, and to present that wooden horse as a gift to the citizens of Troy, turned what had been an embarrassing defeat for the Greek armies into a decisive victory over Troy. The soldiers inside the horse burst out at night and ended up burning down the city. Odysseus falls afoul of the god of the sea, though, and ends up having to sail through trial after trial before he finally makes his way home. Nelson Mandela was also an example of a highly intelligent individual. He was protesting against the racist system of apartheid in South Africa for decades before the rest of the world decided to join in. He spent almost three decades of his life in prison for his views. However, he knew that his cause was right, and that right would ultimately prevail, even if he ended up dying first. Fortunately, he lived long enough to emerge from prison and serve as South Africa’s first president under a more equitable system. What these two heroes have in common is the ability to persevere and prosper even with significant obstacles in their way. While some of the challenges they faced do not face many other people, many of their challenges do happen to all of us. For those who are exceptional, though, perseverance is just a way of life. Do you think you have the gift of perseverance inside you? 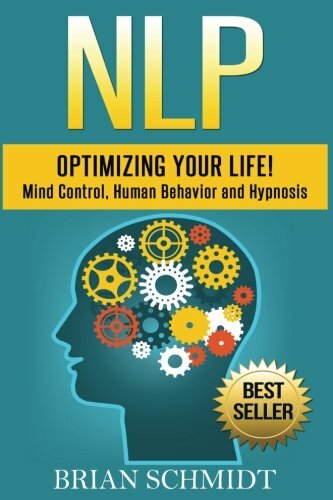 You do – and neuro linguistic programming might just be the way for you to discover it. Bonus Free Workbook Included with Step-by-Step Guided Exercises Imagine what it would be like to be able to influence people. Not just to have them tolerate your ideas, but be really moved by them. What would it be like if you could easily get people on your side? What if you could turn every conflict in your favor, and easily get people to agree with you? Just think what this would mean for your career, your work, your relationships… How much more successful would you be if you had the power of persuasion? Persuasion is not an art, it is a science. Anyone can learn how to create massive influence if they understand how to apply the right psychological principles. The key comes from learning how to bypass people’s mental firewall of resistance, and implant ideas in their subconscious mind for the greatest possible impact. As with anything, knowledge is power. If you aren’t using these tools to your advantage, then people are probably using them on you without you even knowing it! 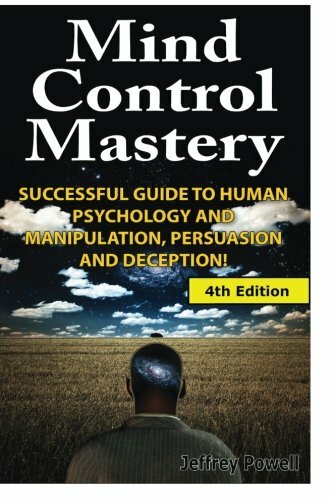 Stop being manipulated, and become a Master of Persuasion. 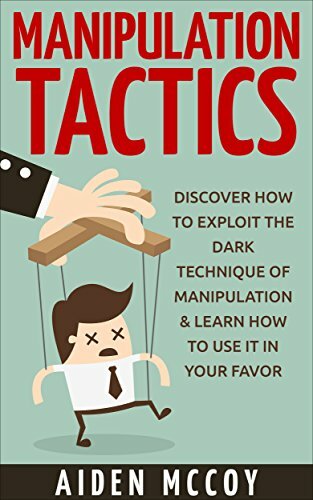 In this book you will learn: – How to bypass your target’s critical factor and implant ideas in their mind covertly – How you can change even the most stubborn person’s mind with subliminal thought control – The most effective psychological tactics for successful negotiation – Advanced persuasion techniques to influence groups of people This book is highly actionable, with step-by-step exercises and a Free Workbook included, to guide you on your journey of persuasive mastery. 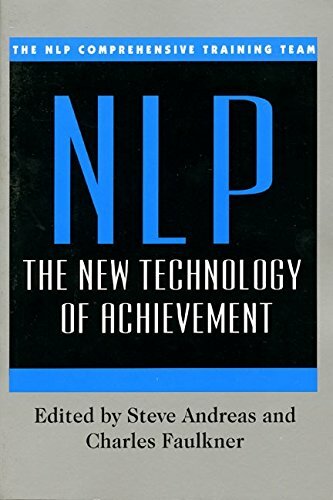 After reading this book you will be able to: – Apply the incremental persuasion method to lead your target to the desired outcome with no resistance – Use the double bind strategy to control the outcome of your interactions – no matter what – Stimulate people’s curiosity with a two-part technique that will get them hooked on what you are saying – Use the four factors of impulse to get people to respond to you immediately – And much, much more! So what are you waiting for??? 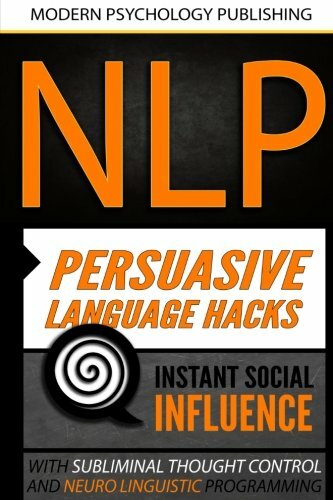 Pick up a copy of NLP Persuasive Language Hacks: Instant Social Influence with Subliminal Thought Control and Neuro Linguistic Programming today and learn this extraordinarily powerful NLP secret!! 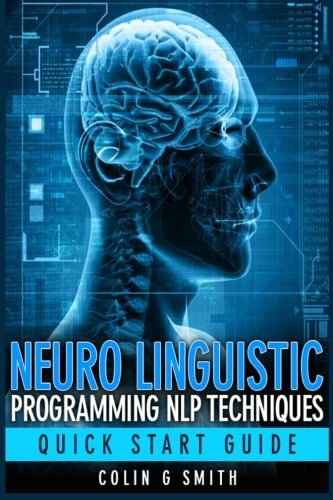 Neuro-linguistic programming (NLP) has taken the psychology world by storm. 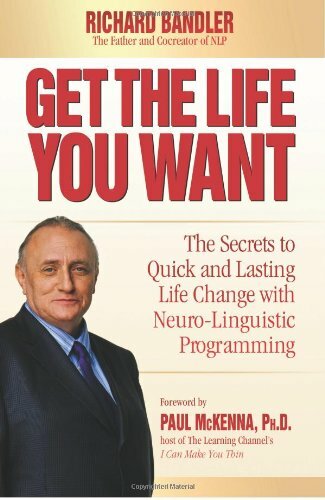 So much more than just another quick-fix or a run-of-the-mill self-help technique, NLP shows real people how to evaluate the ways in which they think, strategise, manage their emotional state and view the world. This then enables them to positively change the way they set and achieve goals, build relationships with others, communicate and enhance their overall life skills. Sounds great, right? But where do you begin? Thankfully, that’s where this friendly and accessible guide comes in! 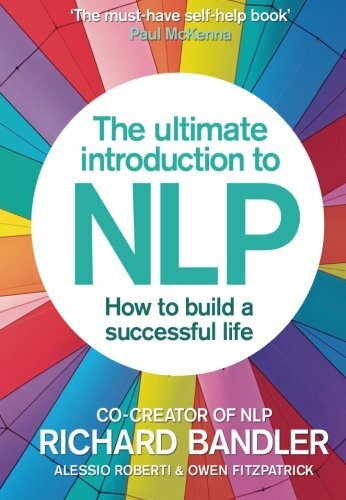 Free of intimidating jargon and packed with lots of easy-to-follow guidance which you can put in to use straight away, Neuro-linguistic Programming For Dummies provides the essential building blocks of NLP and shows you how to get to grips with this powerful self-help technique. 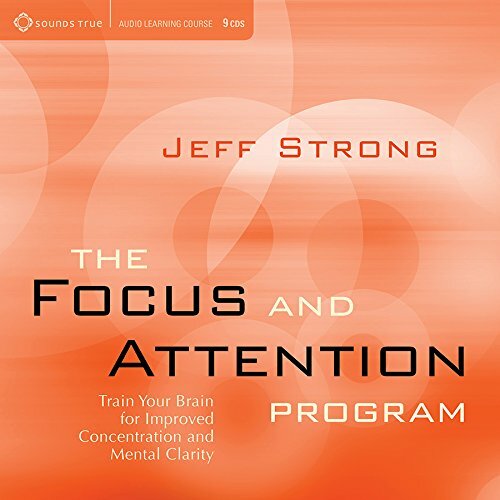 Highlighting key NLP topics, it helps you recognize and leverage your psychological perspective in a positive fashion to build self-confidence, communicate effectively and make life-changing decisions with confidence and ease. 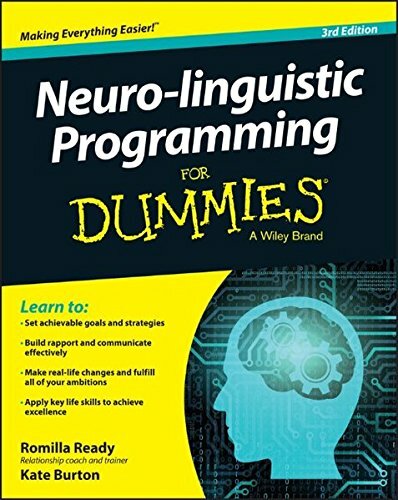 If you’re new to this widely known and heralded personal growth technique—either as a practitioner or homegrown student—Neuro-linguistic Programming For Dummies covers everything you need to benefit from all it has to offer. 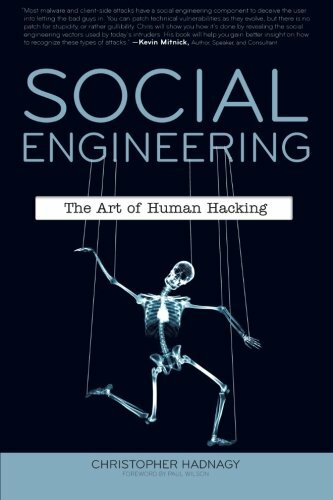 This book deals with the art and science of protecting and promoting your own interests. It is about reaching that pentacle of accomplishment where you have groups of people devoted to you, your goals and your ambitions. In other words, it is about the politics of life. 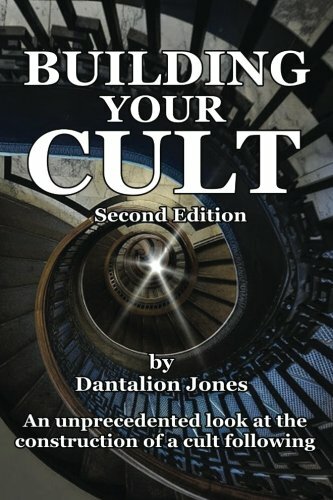 It is about making your own cult. More often when someone talks about a sense of purpose or a feeling of destiny they are met with cynicism. People generally don’t even have a language to understand the concept of purpose and destiny. If you have to wait to find your sense of purpose then it will likely never happen. Right NOW you are in the perfect place to choose your purpose. When you do, life gains a clearer perspective and you can do the ordinary and mundane acts of daily life with more vigor and joy because everything is connected by your sense of purpose and destiny. Yes, we have plans and goals and problems to solve and we work to solve those problems but there are few who can say they are driven by a sense of purpose. Those who are live like unstoppable forces of nature. 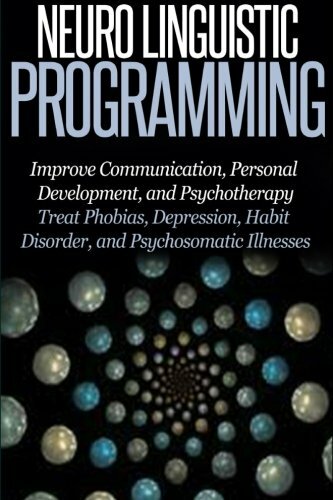 Neuro-Linguistic Programming (NLP) studies brilliance and quality-how outstanding individuals and organizations get their outstanding results. 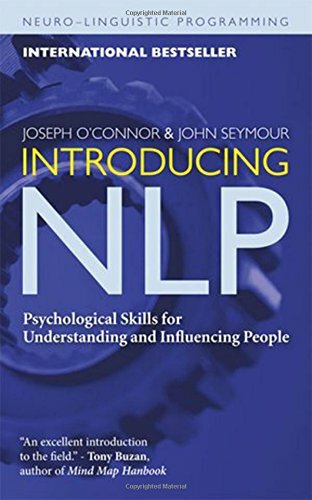 Joseph O’Connor, a leading international NLP trainer and co-author of the bestselling Introducing NLP, offers a step-by-step guide to learning the NLP methods and techniques to help you become the person you want to be in the NLP Workbook. O’Connor discusses a range of topics from rapport and trust, and how to visualize, to negotiation skills, mental rehearsal and coaching. 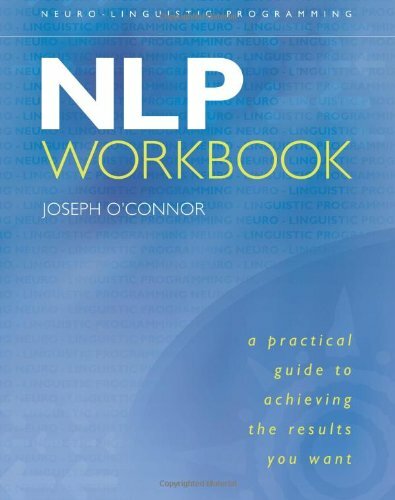 NLP Workbook is a book for everyone and anyone interested in NLP. 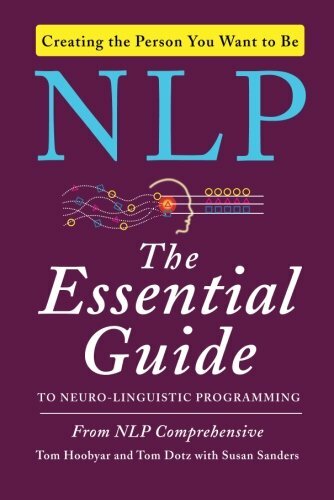 The neophyte will find definitions, examples, and a step-by-step entry into learning how to use NLP, and trainers will discover many new ideas for NLP training. 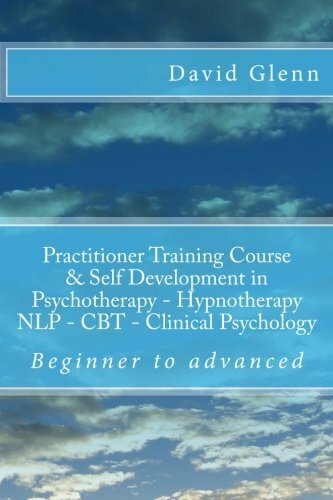 Psychology and Neuro-Linguistic programming (NLP) are two of the most powerful forces available to mankind. For too long, these disciplines have been kept secret from the masses. 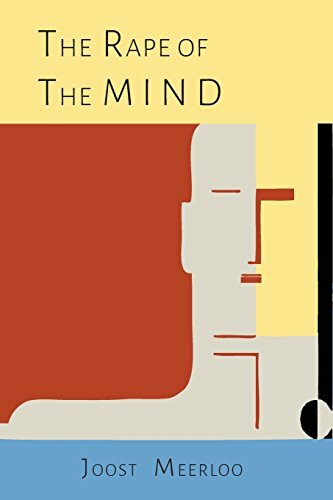 Some of the most devastating insights into the human mind have been hidden away in the pages of psychology journals. Dark secrets which offer the promise of power and influence, over ourselves and over others. It has been made almost impossible for outsiders to access the power of personal influence – until now. 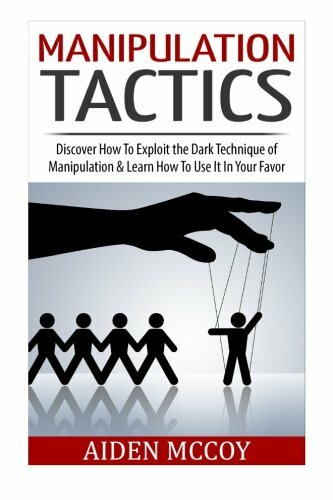 In his book entitled Dark NLP author Michael Pace combines insights from psychology’s darkest studies and NLP’s most effective techniques. 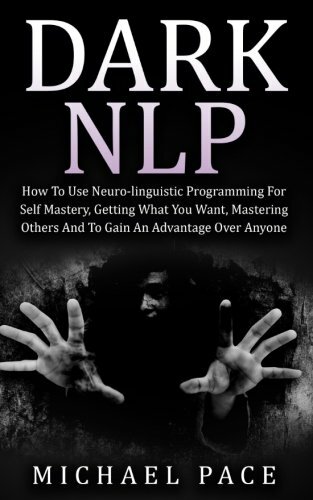 You will be shown exactly what NLP is, before being offered insight into the immense levels of controversy it has generated over the years. 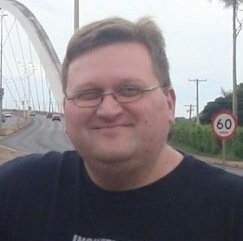 NLP techniques will then be combined with those drawn from the most controversial areas of psychology to show you how to take control of yourself, and your own life, before you are able to extend your influence over others. 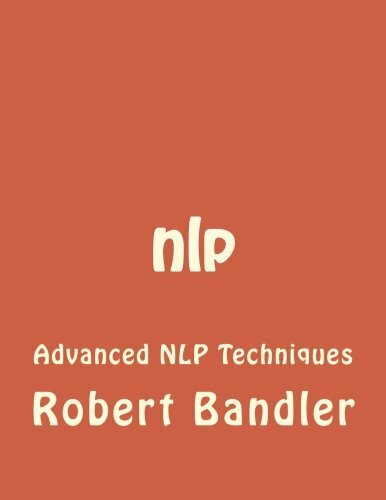 In this revealing book you will also learn how to use advanced verbal and physical techniques to create a deep sense of connection, comfort and rapport with almost anyone instantly. Proven methods to uncovering your deepest desires, and staying on the path of their pursuit, will be broken down for you in an easy to understand way. Some of the most powerful masters of Dark NLP ever to walk the Earth will be provided to you as inspirational role models to learn from. You will also be shown how Dark NLP gives you a nuclear level advantage in the world of dating and romance. This is your best chance to take control of your life once and for all. Act now – before someone else does.